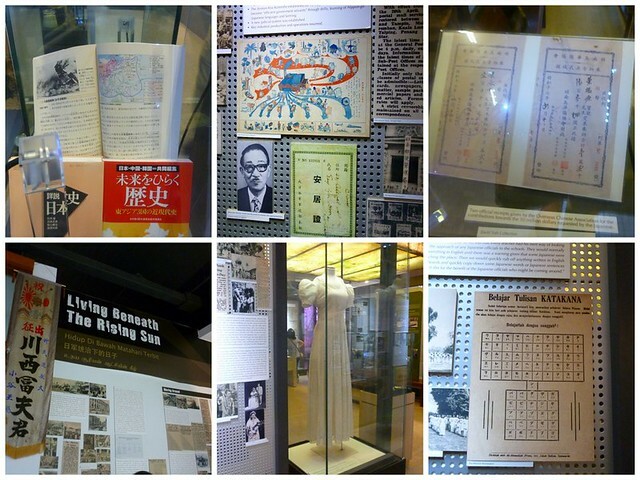 Welcome to part 2 of Singapore for museum lovers. Last week I shared what I thought about the Asian Civilisation Museum, National Museum of Singapore, Singapore Art Museum and Peranakan Museum. 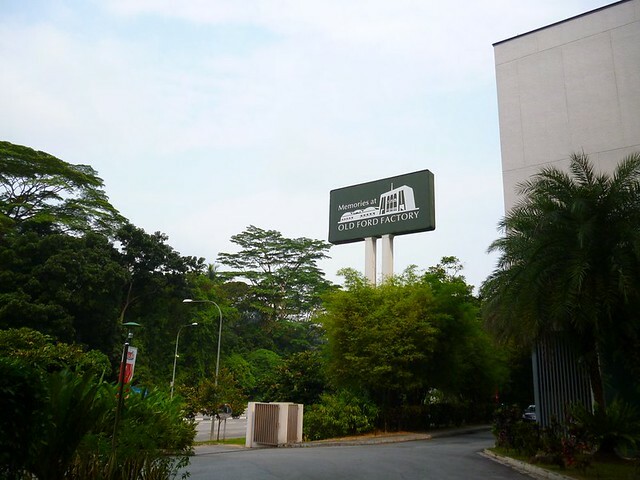 Today, I’ll be talking about three less visited museums: Reflections at Bukit Chandu, Memories at Ford Factory and Singapore Philatelic Museum. The first two museums are dedicated to World War II so if you are a WWII fan, be sure to check those places out. The only down side about these two museums is that they are really far from other sights. Bummer. Out of the three museums I will be talking about today, Memories at Old Ford Factory is my favorite. In its past life, the museum was the Old Ford Motor Factory. I became interested in it because there were rumors that the place is haunted. The museum was the location where the British signed its surrender contract (?) to the Japanese. The room where the signing is part of the museum collection. You can stand behind glass wall to see the room. There’s also a theatrette at the museum (same as at Reflections at Bukit Chandu) and the film made me shed tears. I like this museum a lot but just thinking about getting there gives me a headache. There are public buses to the museum but it’s pretty much in the middle of nowhere. If you do not have a lot of time in Singapore, I think you should skip this place. Another museum focused on World War II. This time, it’s more about how the Malay community help defend Singapore against the Japanese army. The museum is located at the top of Bukit Chandu (or Opium Hill). If you are walking, be prepared for the very hilly walk from the Pasir Panjang MRT station. On breezy days, it’s very relaxing to walk uphill since most of the route is shaded. The museum is very small. 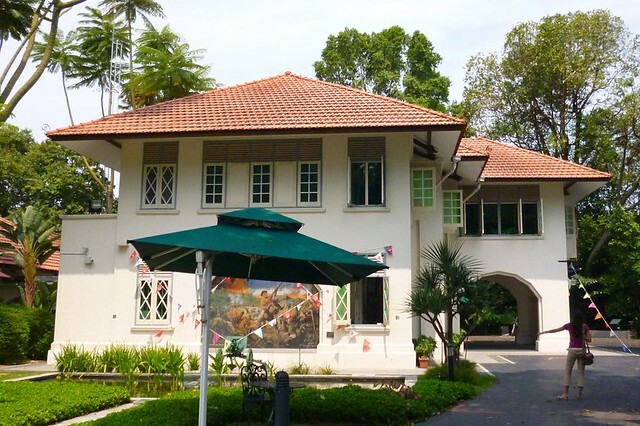 A old mansion “close to the former battle site – the Battle of Pasir Panjang, where 1,400 brave soldiers from the Malay Regiment heroically defended the last stand against a 13,000-strong Japanese army”. The best part about this museum is the little theater where they have great sound and light effects to show how it was like when the Japanese invaded. Be prepared to shed plenty of tears (more tears than Old Ford Factory). 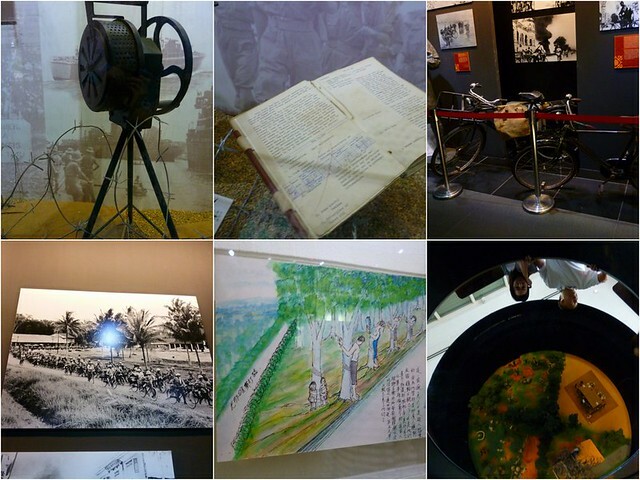 The museum was different from the rest since it focused a lot on how the Malay Regiment defended Singapore. In other museums, it seemed like it was mostly the British work (and terrible work at that). It’s also rather interesting since in the Peninsula Malaysia, Malay gave their bicycles to the Japanese army, giving them a chance to reach Singapore from a direction that wasn’t expected by the British. One of the artifacts of the museum is drawings by a local Chinese who survived the war. It showed how cruel the Japanese soldiers were during the period. A large part of the museum is dedicated to Lieutenant Adnan bin Saidi who was portrayed as a hero who never gave up. Honestly, I haven’t heard of Lieutenant Adnan until the visit, I hope he would be upgraded to the position of national hero in other places and not just this museum. More photos and detail of Reflections at Bukit Chandu can be found at remembersingapore blog. I’ve collected stamps when I was in primary school. The only reason I did it was because in the books I read, stamp collecting was a good hobby. The books never told me that watching TV, playing video games or reading can be considered hobbies. My mom was writing to my grandfather back in Taiwan so we had many pretty stamps with the words “Republic of China”. I never knew then why they didn’t just write Taiwan but I accepted it and filed it in my stamp book. But I’ve never really liked stamp collecting. It was most boring to me since the stamps just sat there and did nothing. At least books told me stories and running around makes my heart beat faster. I pretty much gave up stamp collecting when I was older. Oh, where was I? 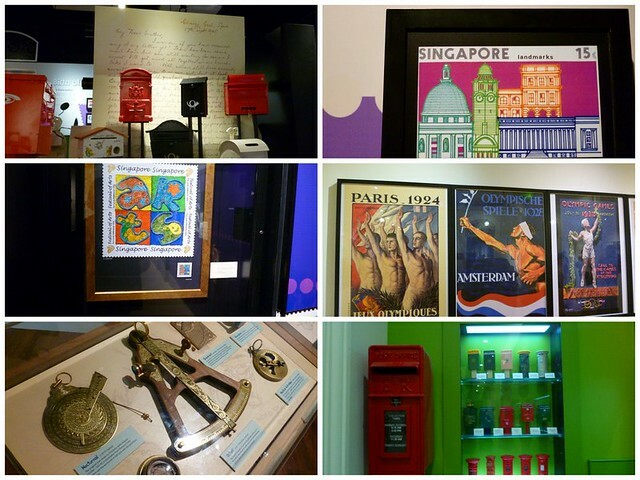 Ah, the Singapore Philatelic Museum. The reason I gave a short history of my liaison with stamps is to tell you that I really do not like stamp collecting. 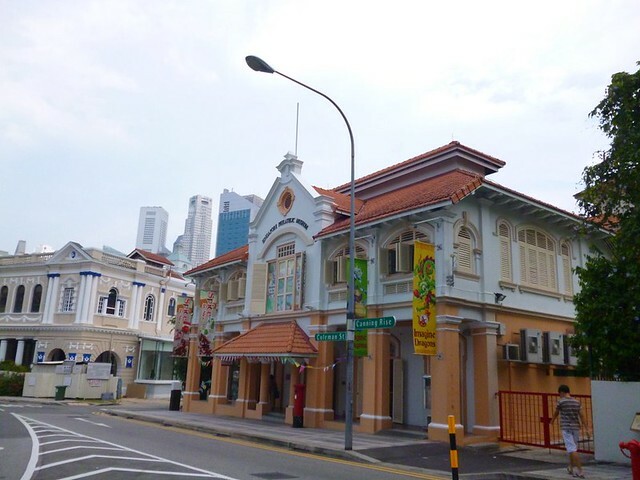 My introduction of the Singapore Philatelic Museum will be marred by my experience with stamp collecting. I visited the museum as part of the Free Museum Entrance Month. My head was already full of other exhibits in the other museums so the exhibition at the stamp museum was rather disappointing. There is a room on how stamps are made. To me, a room showing how cookies are made is a lot more interesting. There are blown up stamps for different occasions. I saw the Olympic Games stamp when I was there. Surprisingly, there is a room about different cultures in Singapore. They must have ran out of stamp-related artifacts. I was quite bored out of my mind at the museum. So I will stop here. Have you been to the three museums I talked about? How was your experience?